The New Testament Church is located in Rome New York and is dedicated to creating an environment where families and individuals can worship God together. This site provides news, events, sermons and more. 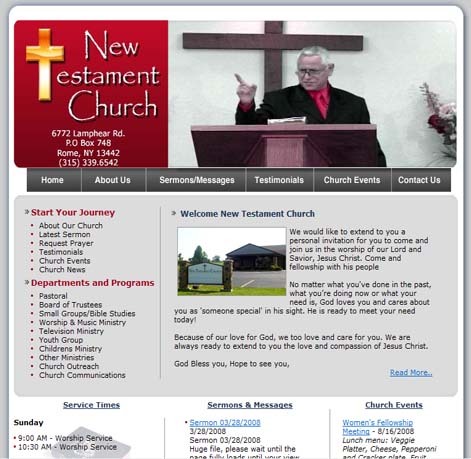 Technologies - Powered by CNYSource.com The New Testament Church website. utilizes ASP with a MYSQL backend database along with various flash animation and graphics.